Wondering why in the heck your dog is itching and scratching so much? Is it fleas or ticks? Allergies? Well, here you'll find the most common causes of itching and scratching in dogs. 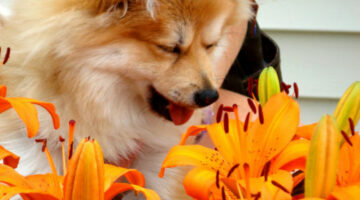 We're also sharing some of the best treatments and home remedies for dog allergies. Dog Mange, Scabies & Sarcoptic Mites: My Dog Passed The Itchy Rash Onto Me! When we found our rescue dog under a dumpster, the vet diagnosed him with 2 health issues: Sarcoptic Mites (aka Mange or Scabies) and Rocky Mountain Spotted Fever (a blood disease). He passed the Scabies onto ME and our other dog. Here’s what it was like. Dog E-Collar: Is It A Necessity? Are There Any Alternatives? I wish so badly that we had given in to using the E-collar earlier. We didn’t because we felt bad for the dog. We thought he would be scared of it or feel punished. P-shaw! No need to feel bad for something that will protect your dog and make him heal faster. AND get you a few extra hours of sleep! If I had this to do all over again, I would definitely use the E-collar — simply for our sanity. Here are some alternatives to E-collars.